The Twelve really fell flat after The Passage. Most of the book was a standard [insert noun of your choice] apocalypse book, complete with civil disorder, the failure of traditional authority figures and heroic last stands. 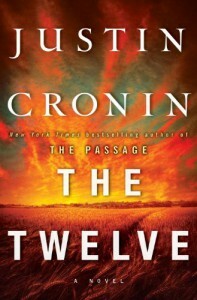 For a best-selling author, Mr. Cronin has an awful lot of trouble with homophones, and apparently a grudge against dogs. The last fourth of the book was reasonably interesting, but the giant, obvious door left open for a third book was just painful. I will probably read a third book, but I think this is the last one I'll buy.